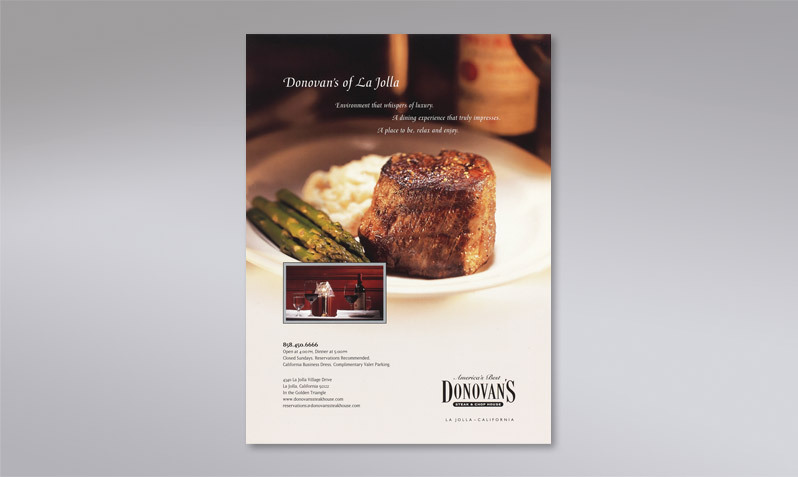 Donovan's sets the standard of fine dining excellence. A classic steakhouse. A stylish, lively atmosphere. Cordially friendly. The most effective approach for communicating this upscale dining experience was the use of bold, stylish photography.